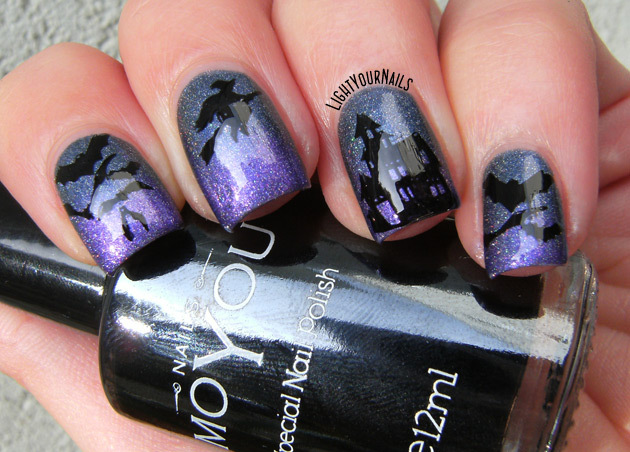 Indie Inlinkz: Halloween | Light Your Nails! How pretty! And so flawless! La base è la star dello show, non c'è che dire. Hai davvero creato un cielo stellato perfetto! this is adorable! I love it. I'm kicking myself for missing the linkup this month. I must admit I remembered at the very last, too! Oh wow, that gradient is smoooooth! Lovely with the stamping! This is beyond cool, from the gradient to the design! That gradient is fantastic! 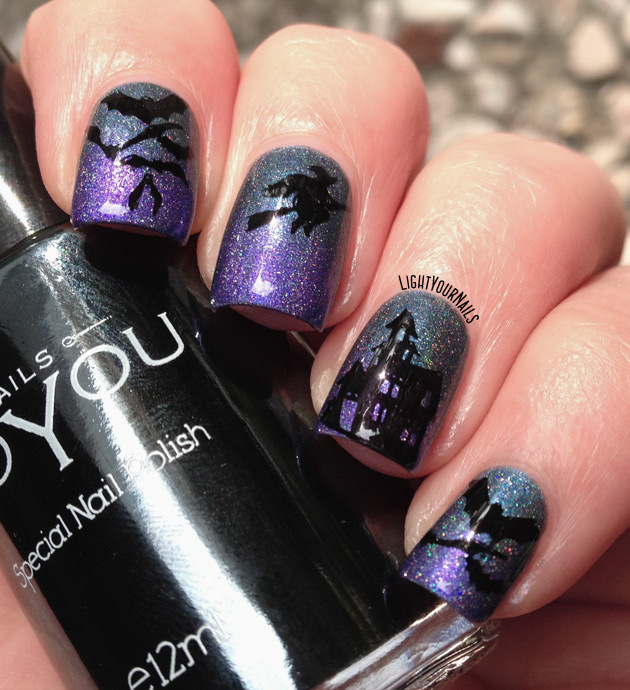 I especially love the flying witch nail. Thank you Kerry! That nail had me torn, I didn't know if it looked too empty! 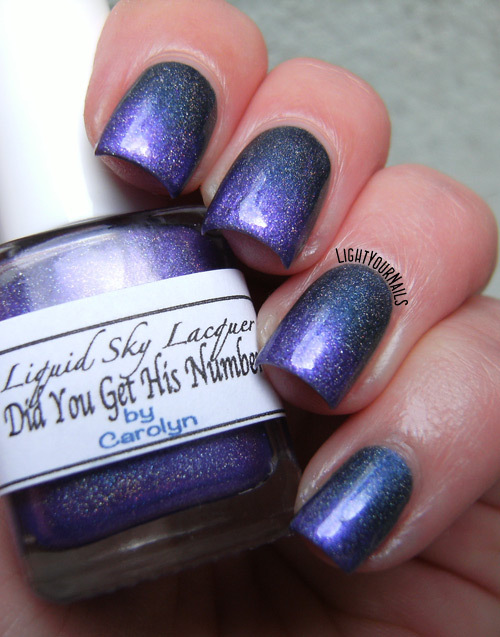 Absolutely gorgeous, I love the gradient background and it goes perfect with the stamping! Such a beautiful base and the stamping is perfect! La sfumatura ha il suo stramaledetto perché, è lei la star della manicure! !